Do you feel like you’re never going to meet the right person, so why keep trying? Do you feel frustrated – even hopeless? You’ve gone on dozens of dates only to be disappointed again and again. When you finally met someone, you got your hopes up but it didn’t go anywhere. Maybe you’re starting to think that you should just stay single – after all, you’ve got a great job, awesome friends and a really good life. Shouldn’t that be enough? Even though your life is full, it’s okay to want more. You deserve to share your life with someone really special. I’m so glad my friend Selene didn’t give up. She went on 72 Match.com dates, and her husband Pete was number 70! Now she’s happily married with three kids! Fiona wrote me to share her story. She went on over 200 OK Cupid dates before meeting her husband! I’m happy my friend Irene decided to go to a speed dating event a few years back. She met her fiancé there (the first speed dating event she went to was terrible, but she tried again). And I’m glad I didn’t give up either. After a failed marriage and two relationships that didn’t work out, I hung in there. In the years after my divorce, I dated and dated and dated. I met about 300 single men, and then I met my husband! What if I had stopped at number 299? I’m so glad I didn’t! I kept putting myself out there. I dated online, went to singles events and tried speed dating. I got off my couch and went out as often as I could. And I didn’t use being too busy as an excuse. At 40, I had an infant and three school-age kids, yet I still made time to date. Are you too busy? If something is truly a priority, you’ve got to set time aside to make it happen. And don’t let your past experiences hold you back. You’re a strong person. Try a new strategy – do things a little differently, read a helpful book or blog or get some professional advice. 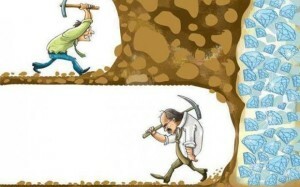 But don’t EVER give up! I saw this photo a few years back, and I saved it. I adore this picture because it says it all. 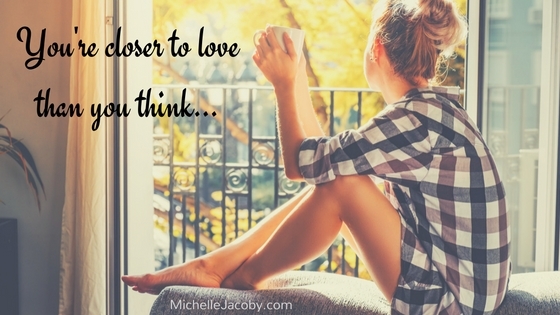 You’re closer to LOVE than you think! 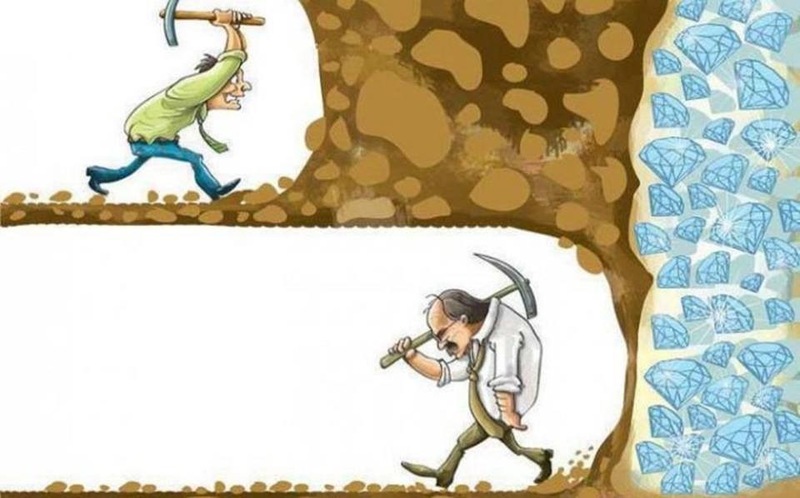 Stay determined. Go out into the world as your authentic, kind, open hearted and warm self. Have fun meeting interesting people along the way, all the while knowing you WILL meet “the one” when the time is right. You’re so awesome! I am so grateful our paths have crossed, I will not give up. Thanks!